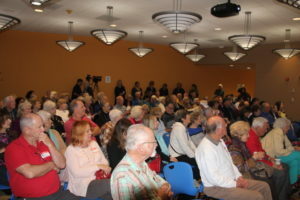 On Friday, January 11th, 120 library patrons enjoyed a fun morning together being entertained by Greg Schreiner, President of the Marilyn Monroe Society in Los Angeles. 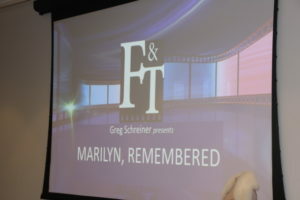 Greg talked about how he fell in love with Marilyn and became president of her club. 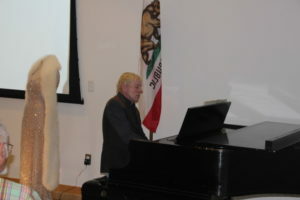 He also shared stories about the many wonderful people he met who knew Marilyn and explained how he acquired one of the largest collections of items owned by Marilyn. This program was provided Lianne & Friends. You can catch the next one, featuring jazz pianist, composer, and producer David Benoit, on February 8. Click here for more information.